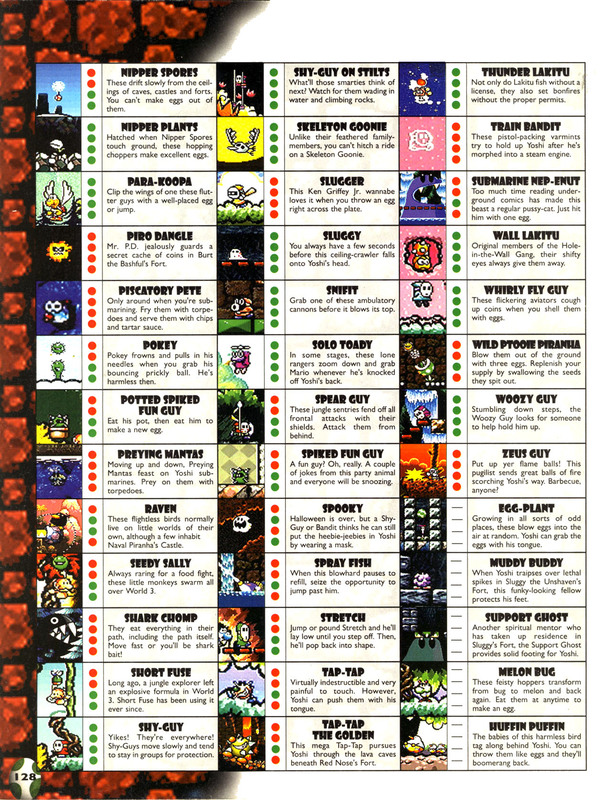 Potted Spiked Fun Guys are a variant of Spiked Fun Guy in Super Mario World 2: Yoshi's Island and its remake Yoshi's Island: Super Mario Advance 3. They ride within pot objects and repeatedly yet slowly jump towards Yoshi, occasionally performing a taller jump. Yoshi can simply lick up the pot, which releases the Spiked Fun Guy, or burst the enemy with an egg or seed, which leaves the pot behind and can allow another Spiked Fun Guy to hop into it. Both Spiked Fun Guys and their pots can be converted into eggs. ↑ 「小さくてもサボテン。ふむとイタい目にあうぞ！風船にぶら下がって出てきたり、鉢に乗って出てくることもある。」 ("A rather small cactus. You'll be sorry if you step on it! It sometimes hangs from a balloon or rides in a pot.") 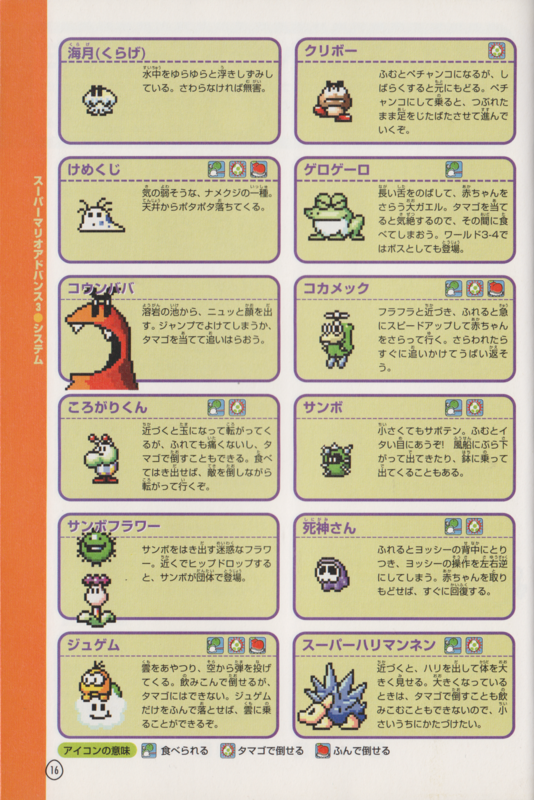 - 「スーパーマリオアドバンス3任天堂公式ガイドブック」 (Super Mario Advance 3 Nintendo Kōshiki Guidebook), page 16. 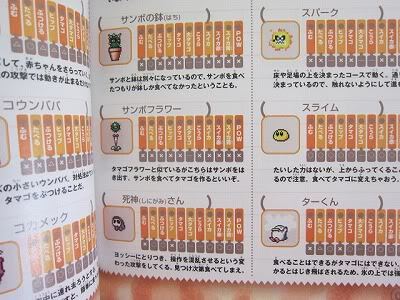 ↑ Scan of 「スーパーマリオアドバンス3　かんぺきガイド」 (Super Mario Advance 3 Kanpeki Guide). This page was last edited on November 18, 2017, at 09:23.